First off I am one of the few people who thought the reward challenge was bad. It came to down to our worst guy is better than your worst guy, and the same puzzle three times was just repetitive. Due to Michele and Joe receiving votes no one can get the perfect game this season. I cannot picture her beating Aubry, but she could beat anyone else. I think she should try to get Tai, and Michele to vote out Aubry next. If she wins immunity go for Joe. If Aubry is gone then vote out Tai. If Joe is gone take out Aubry then. She has a slim chance against Aubry. Her best move is to remove Aubry and Cydney next assuming Tai is with her. Make final two alliance with Tai. Convince Cydney to turn on Aubry. Then recruit Joe to take out Cydney. 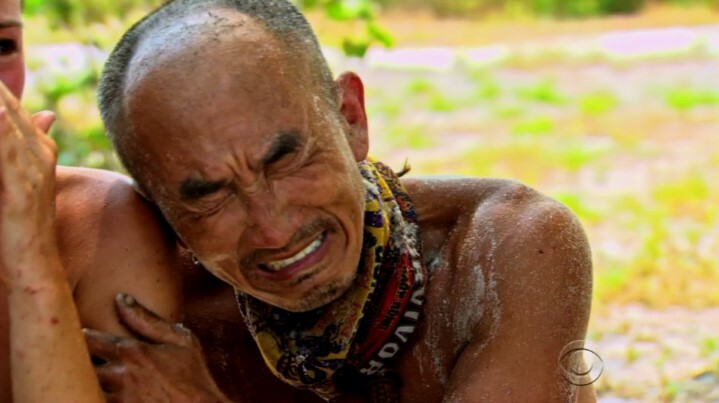 May have to win final three immunity challenge, but Tai has not been performing well lately. You are terrible at tribal council and that makes it hard to plead a case for the jury. Go for the Neal/Debbie votes by removing Aubry. Then take out Michele. In final three take Joe if it is up to you. Hope the jury rewards you for loyalty. Try to help Aubry recruit Cydney to vote out Michele. Then protect Aubry as you two go the finals. Hope there is a bitter jury. Aubry is still my pick to win. Her edit was lacking in sotries, but she was shown to be in complete control of the majority alliance. I am getting the impression from the preview that next episode she is the swing vote between Cydney and Michele. I think her best move is to remove Cydney in a blindside and then take out Jason. With that Joe is with her and make a final three deal with both Tai and a separate one with Michele. Her win. Cydney is now in a good position to make a move against Aubry. The problem is the only people she could beat are Michele and Joe. Time to blindside Tai then go for Aubry. After that go for Jason. To do that first remove… by…I really cannot see her doing that. 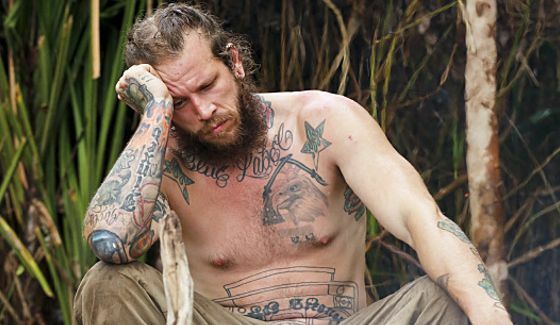 Just blindside Aubry in the very late game and try to seem in control for the vote. Michele is finally starting to emerge as something besides a winner’s edit. Try to get the votes for Tai and Jason. Then remove Aubry. Go to final three with Cydney and Joe. I think his best move is to go to the end with Jason and Cydney. Next move is to join with the non Brains and go for Aubry. After that take out Jason. In the final four take out Michele. Besides Joe who could he beat? Maybe Cydney. Try to turn everyone on Aubry. I think that if Aubry makes the finals she will win against anyone. I think her biggest threat is Julia and Julia will gun for her. But Julia is the main threat between a possible Jason-Julia alliance. I think her best move would be to get Tai, Cydney, Joe, and herself to take out Jason by convincing them he is a bigger physical threat and could get votes. Then take out Julia to put her in the final 5. Try to make the alliance think Michele was with Julia getting Cydney to target her. She could then get Joe and Tai to choose and have many options to either final 2 or 3. The only current juror I think that will consider voting for Cydney is Debbie, and I think she will go with Aubry. It will be like Dan voting for Mike. If she votes out Aubry now her alliance will crumble giving Jason and Julia power. She has to try to take out Jason and then Michele. She then has to try to get Tai turn on Aubry, which will be very hard. She may have to try to win at the end and then vote out Aubry, but Aubry has been beating her at every challenge except one. Bad odds for Cydney. If Julia makes the finals without Aubry I think she will win. Her best bet is to get Cydney to turn on Aubry, but I think she will gun for Tai. If that happens and somehow works the best plan is probably to get Aubry to turn on Cydney then gather Jason and Michele for a final three alliance and go to the finals with Michele over Jason to appear loyal. Go to the finals with Joe is his only hope. At Julia’s final 5 convince Aubry to vote off Julia with him and Joe. Then turn on Aubry at 4 or 3. Remove Michele the other vote. He needs to be in the end with Michele, Joe, or Cydney. I think his best bet is to go with Aubry to the final 4 and try to beat her in a challenge and vote her out. Rely on his advantages, physical prowess, and Aubry’s brain to get him there. Also use an extra vote now to make sure two people do not flip then bluff with idol, and he is in final 4. get rid of Julia and Jason quickly, as they are targeting him. Besides a winner’s edit does she have any assets. She is in the middle but not enough to change the vote off. I think her best bet is to get Cydney to turn on Aubry destroying the power alliance while getting Tai to play his idol. Then remove Tai. Then Cydney. At final 4 betray Julia and go to the end with Joe and Jason. How could Joe win? By acting like he is in control every remaining tribal council and not being at the end with Jason, Aubry, or Julia. Just maybe then. Survivor Kaoh Rong Episode 9: Was it a Good Move? The Big Baby alliance was in the minority, but they got a victory and they made a show of psychological war/ being sore losers. Did they pull off a victory because of it or in spite of it? Scot made sure there was no question, which is bad. The best way to do this sabotage would be to keep t a mystery like what Tai did. Tai is successfully using Scot as a shield. Everyone knew it was them, thus no mystery, which is important for psychological warfare. They way they actually won is by making the majority alliance feel unsafe splitting the votes. Arguably their revenge helped because it arguably makes them better goats to take to the end. The problem with that is they may very well not win. It also means they are starving themselves. They also need more food. If the only reason Julia seemed interested in them is why the majority alliance did not split the votes then their revenge worked in the short run. Everyone’s best chance at victory. Scot- I think that he will actually win a final three of the Big Baby alliance. I am almost certain he will target Cydney. I think his best hance is to scare Michele and Julia into voting for Cydney and then using the super idol to get them to completely flip at 7. Then blindside Julia. After that if the tight alliance sticks together I think he will win. Baby Kyle- The same as Scot only blindside him at the final 5 or 4. The take Joe and Julia to the finals. I think he would beat Joe if he makes a better speech. Tai- Keep doing great at challenges and claim to be the best physical player and own up to putting out the fire without being caught. Cydney- She will get targeted next. Must get tai to flip or she is gone. If she can do that then remove her fello Brawns and make multiple final three deals. Julia- Sacrifice Cydney to remove the super idol. Get her alliance to cast 5 votes for Scot. Then vote out the Big Baby alliance except Baby Kyle. Blindside Aubry at final 3 and then keep talking about Baby Kyle’s friends o the jury to be in finals with Michele and Joe. Joe- Sacrifice Cydney for super idol. Vote out big baby alliance starting with Tai. If he goes on an immunity run he may get sacrificed to keep the alliance strong. Aubry- My pick to win it all since episode 2. Keep Cydney as a shield. Get Tai to flip and remove Jason’s idol and Scot. Vote out Jason. Blindside Julia. In final 5 make final 3 deal with Michele and Joe. Remove Tai first and then Cydney. The reward challenge had 10 people thus 5.5 points at steak. The winners (Scot, Nick, Julia, Debbie, and Tai) got 1.1 each. The losers (Aubry, Michele, Julia, Cydney, and Jason) lost 1.1 each. Tai got an additional 5.5 for the immunity win. Everyone else lost 0.61. 7/8/9/10/11. Aubry, Michele, Julia, Cydney, and Jason all have 97.69. Tai is now the biggest threat in challenges (At least in endurance challenges). If would be a very beneficial move to blindside him if the food supply is holding up. Why did he vote for Jason? My first thought was he and Cydney came with different plans for a blindside. The Brains chose Cydney’s plan, as it offered more people for the long term. Nick revealed in his interview with Dalton Ross that they changed the vote plan at the last second, because Joe would not hear the plan to remove Jason. If true that actually means Jason and Scot stand alone. I expect that they will show him having a fall out with Scot next vote or the majority alliance targets him next in an attempt to flush his idol and get Jason to play his. For the majority alliance obviously Debbie, Aubry, and Joe would be the most loyal to it. Tai and Cydney have good connections to their former allies. Michele may side with Julia if Julia flips. Thus the game is still afoot. The three Brains need to keep the target on the Brawn men, which I think they will do. Why did Cydney flip? According to Nick he was going to turn on the Brawn men at the final 9, but she may not have known that. It was likely from a frustration at her male allies. It could also be that Scot is a big threat to win, and Jason could very well pull an upset. Voting out them would also leave her as the strongest player left. Who is the best left at endurance challenges. Nick came a 1 and 3, while Tai came in 2 and 1. Cydney came in second this episode, but last episode she was way in the back. Julia came in third one week and last the other. Aubry came in fourth both challenges. Besides Tai she is the top threat especially if her leg gets better. Aubry for being the biggest threat of the minority alliance but getting most of the majority alliance to help save her. Debbie for the same reason. Most likely to go next. The Brawn men try to get Julia, Michele, and Tai to blindside Cydney in revenge. Joe as a throwaway vote to draw out idols. Scot, nothing odd happens and he is voted out. First off my episode one pick to win, Neal found an idol. One on tribe there is Neal and Debbie for Brains, Cydney and Jason for Brawn, and Michele and Nick for Beauty. Beauty has the disadvantage of no idol. I think the two brains may have the best chance. Jason makes people mad. Nick is very arrogant. The main hole is Cydney and Michele are very good social players and Debbie takes time to get used to. I would think the Brains are safe. Another tribe has Tai and Ana for Beauty, Scot for Brains, and Joe, Aubry, and Peter for Brains. I think they have a less strong tribe. If I were Scot my hopeful plan is to use Tai’s idol to remove a Brain. That way they have one less and beauty loses an idol. He instead seems to be playing both sides in a long term. Now that Julia has replaced Anna Scot may want to consider voting her out as well.